The mission of the Mentoring for Success program is to have AmeriCorps members in the schools helping students who have been identified as having chronic absenteeism. Mentoring for Success places AmeriCorps members into the schools to work with and mentor students who have been identified as having attendance issues. Members work with and help parents get involved in their students education. 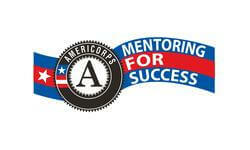 Mentoring for Success works to increase the involvement of students and parents in the education system. AmeriCorps members will work under the direct on-site supervision of the school principal or their designee. Members will work to increase the attendance of the students as outlined in the policy and procedure handbook.